I love the movie The Big Lebowski. 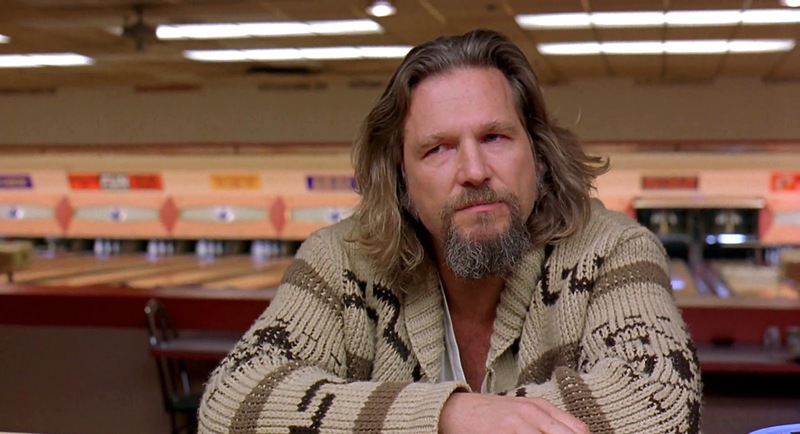 The 1998 Coen brothers film is funny, touching, dramatic and far more profound than it appears at first viewing. Maybe my eighteen year-old brain didn't have the prerequisite knowledge or popular references to understand everything that was going on in the film. Maybe I didn't have enough life experience to "like, really get it, man". But having watched it several times since then, I can see a lot of things going on. Intergenerational relationships, curious juxtapositions (could The Dude and Walter really be friends? ), socio-economic commentary, it's all there. Or at least, that's like, my opinion, man. I'm not reviewing white Russians. So things aren't always as they appear. An apparently simple crime comedy can also be complex social commentary. Much like the Coen brothers' film, Ardbeg is often dismissed as simple. Big, bold and smoky. But there's a lot more to their "standard" ten year old expression than meets the eye, or nose, as it were. According to their promotional materials, Ardbeg is "as close to perfection as makes no difference". That's a bold claim. It's also similar to claims made by pretty much every scotch whisky distillery. So what sets Ardbeg apart from the others? Is it just the peat? Is it the cool, mysterious-looking packaging? According to Ardbeg, it's a combination of "the most phenolic malt in the business, soft pure water from our own water source plus dedication and passion". Fair enough. Ardbeg's malt is peated to a level of 50-55 ppm (parts per million). For a comparison, Laphroaig is generally around 40 ppm, Lagavulin is about 35 ppm and Caol Ila is around 30 ppm. Now keep in mind, this is a measurement of the phenols in the malted barley. The resulting whisky is affected by a myriad of other factors, such as the yeast type, the barrels used for aging, the cut points and the alcohol level of the final product. A younger spirit tends to display more a phenolic character (smoke and peat) than older expressions as the wood tends to mellow out some of the aggressive tones. Bruichladdich's Octomore series, a 5 year old whisky, is the most peated whisky I know of, with some expressions registering peat levels around 165 ppm. Over the years, Ardbeg has made some, shall we say, interesting marketing decisions. They've named a whisky in honour of a whirlpool (Corryvreckan), one in honour of the Loch whence they source their water (Uigeadail) and even one for a shape-shifting water-spirit (Kelpie). Their videos even wink at the confusion arising from the Scottish accent itself. See this video for their promotion of their new expression "An Oa" (which is named in honour of the Mull of OA near the Ardbeg distillery). So how does Ardbeg's "standard" Ten year old taste? Palate (undiluted): mouth-coating, yet light and bright, but not thin or watery. Very balanced. No rough edges. You wouldn't guess this is 46% ABV. 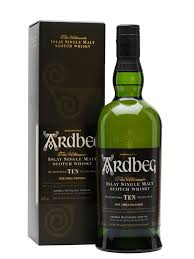 There's citrus, pear and some malt/cereal sweetness under the big peat and smoke you expect from Ardbeg. Finish: very long finish, cigar ash, dark roast coffee, licorice and a bit of pepper. 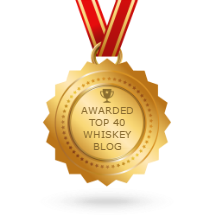 If you're unsure about peated whisky, keep this one for later in your journey. You will taste Ardbeg for hours after you finish it, which, to me, is a wonderful bonus. Pearl Jam's Binaural album was underrated. The chorus from the lead single, "Nothing As It Seems" sums up Ardbeg's Ten Year Old expression. Having a dram of Ardbeg is a small comfort at the end of a hard day. It's unmistakably, unapologetically Islay. But it is no one-trick pony. Pouring a dram and taking that first sniff, you'd be forgiven for thinking peat and smoke was the truth, the whole truth and nothing but the truth. But Ardbeg is not as it seems. It's bold and complex, yet not without subtlety. Much like the eponymous character in "The Big Lebowski" was not the self-made man he claimed to be, Ardbeg is not the simple, straightforward smoke-bomb some think it is. Though unlike the movie's titular dour character, Ardbeg is more than it seems. I highly recommend it. Here’s to those who’ve seen us at our best and seen us at our worst and can’t tell the difference. 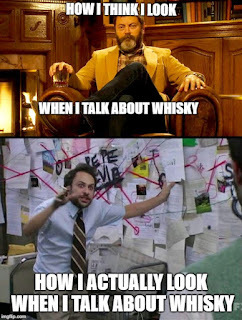 The peat ties the whole thing together, man. Yeah, we’ll that’s just, like, your opinion, man.